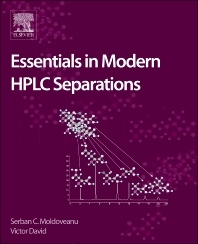 Essentials in Modern HPLC Separations discusses the role of separation in high performance liquid chromatography (HPLC). This up-to-date reference systematically covers new developments in types and characteristics of stationary phases, mobile phases, and other factors of this technique that influence separation of compounds being analyzed. The volume also considers the selection process for stationary and mobile phases in relation to the molecules being separated and examined, as well as their matrices. The book includes a section on the contemporary applications of HPLC, particularly the analysis of pharmaceutical and biological samples, food and beverages, environmental samples, and more. 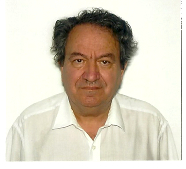 Dr. Victor David is a Professor and Head of the Department of Analytical Chemistry, University of Bucharest, Romania. He is the author of more than 120 publications, including 92 scientific papers in ISI international journals and 10 books and chapters in various Encyclopedias. He is also a reviewer at several international journals.